Barrel aged releases have become increasingly ubiquitous in the contemporary beer world but, as local breweries and craft distilleries continue to pop up in all corners of the country, malty marvels are finding ever more ingenious ways to meld. The latest example is The Barrel Exchange Project, a collaboration between Melbourne's Wolf of the Willows and Lark Distillery in Tasmania designed to show just how well beer and whisky can be brought together – again and again. 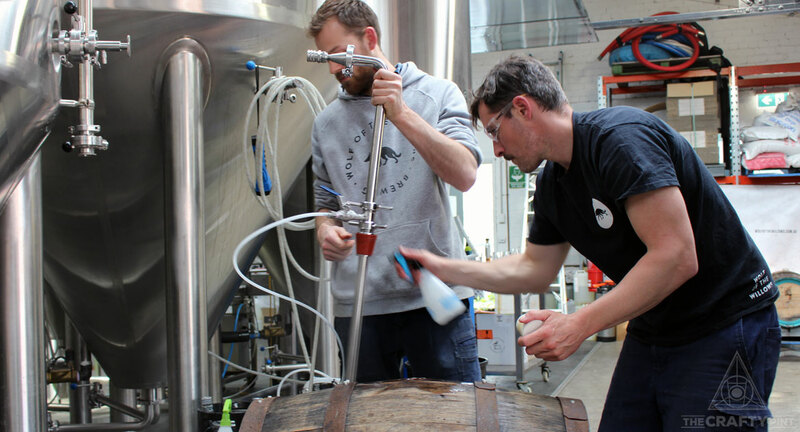 To kick it off, the collaborators took an imperial version of the brewery’s Johnny Smoke Porter (JSP) and aged it in freshly-emptied Lark barrels for more than four months before the beer was removed and the barrels were returned to Tasmania. Within a week, the barrels were filled with a single malt that spent six weeks finishing in Imperial JSP soaked oak. 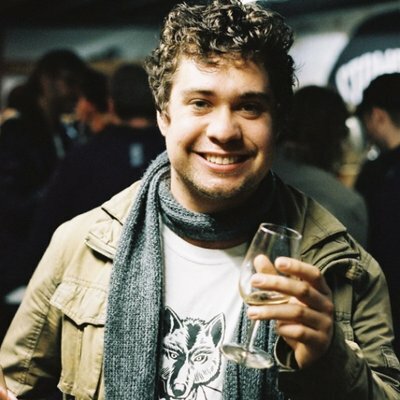 Wolf of the Willows co-founder Scott McKinnon says the idea behind filling the empty barrels within seven days at either end is to ensure the flavour exchange is particularly prominent. Before the liquid exchange took place, there was plenty of preparation too. “We actually jumped around in their barrel stores for an afternoon and 'wine thiefed' out of probably more than 50 and we ended up selecting six of them,” he says. Scott McKinnon (right) and brewer Jacob Otte removing the barrel aged JSP from the Lark barrels. Lark Barrel Aged Imperial JSP and The Wolf Release whisky are both released next week so drinkers can try them together. To celebrate their launch, on October 18, Melbourne BBQ joint Fancy Hank's will be firing up its smoker with some of the staves from the barrels to prepare a feast that unites slow-cooked meats, whisky and beer under oak. It’s quite the journey for the barrels, particularly given the ones ultimately selected started life on the other side of the world and were initially filled with Port. And the new venture is part of small but growing trend in the spirit world; Jameson’s Caskmates series and Glenfiddich’s IPA release saw both distilleries release whiskies aged in beer barrels. Earlier this year, Jameson’s owner, Pernod Ricard, bought Ireland’s Eight Degrees Brewery and said the acquisition was in part led by the need for more beer barrels for the Caskmates series. Locally, Boatrocker and Starward have been sending barrels back and forth as part of the ever-evolving Ramjet series too. For future Barrel Exchange Program releases, Scott says the Wolf team is keen to partner with other distilleries as he believes the similarities between small producers are greater than that which sets them apart. It's not the first time Wolf of the Willows, which was launched by Scott and wife Renae in late 2014, has worked with distillers either; their 2017 GABS beer, Raisin’ Kilts, was a Scotch ale aged in Lark rum barrels and, this year, they created the delightful Tom Collins Sour Ale with Patient Wolf Distillery. “In terms of collaborations, the cool part about that is you actually learn from other parties as you go through the process,” Scott says. The Lark barrels during their months-long busman's holiday at Wolf of the Willows. While their collaboration involves crossing the Bass Strait, there's one local producer that only has to cross the room to blend the worlds of spirits and beer. In the small country town of the same name, Loch Brewery & Distillery is also knocking down booze barriers. Since 2016, Craig Johnson and Mel Davies have been releasing bottles of Boilermaker, a stout blended with new-make malt spirit. This year they released a limited number of 750ml bottles filled with a barrel aged version, Cask Aged Boilermaker, that spent eight months in an ex-bourbon barrel and comes in at a hefty 14.2 percent ABV (see photo at top of article). 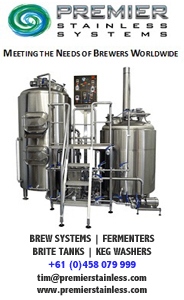 It’s a process that brings beer and spirits close together, particularly for the Australian Taxation Office, which considers the liquid a spirit for tax purposes. Rather than using whisky, which needs to spend at least two years in oak barrels, Craig uses his own new-make malt spirit: effectively unfinished whisky that hasn’t touched any oak. It’s a similar path to that taken more recently by both Bridge Road and Boatrocker, with the former’s 2018 B2 Bomber release containing immature spirit from Corowa Whisky in New South Wales and the latter fortifying this year's Ramjet with Starward whisky to create Dramjet. At his picturesque South Gippsland brewery-distillery home, Craig sees their Boilermaker release as a showcase of their story as much as helping people better understand the relationship between spirits and beer. “Not a day that goes by that people aren’t shocked that whisky is made from the same things as beer,” he says. One of Craig and Mel's many stills. The couple first opened the doors to the public in 2014 but with whisky production moving at a glacial pace, it wasn't until July this year that their first whisky was released, joining a lineup of English inspired beers and gins. 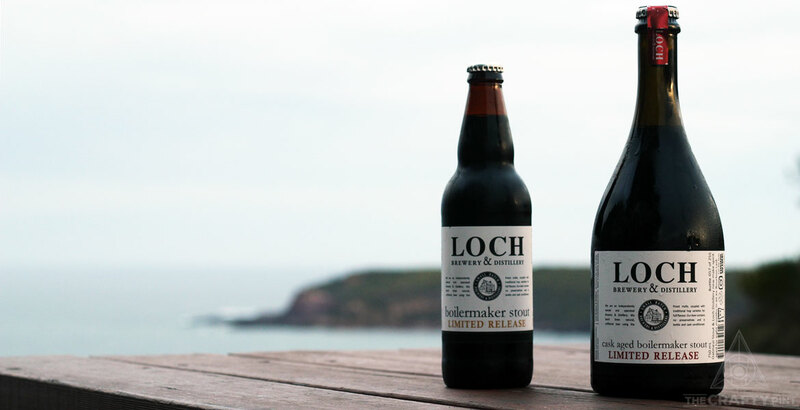 The first release was a single malt that used the same base as their Dark Ale; the second has the same base as their County Ale and, depending on how it matures, the next is likely to come from the brewery’s Best Bitter. Craig says their setup gives them a rare chance among distillers to place such a level of prominence on malt. Though making whisky is the slowest moving part of the business, if sales are anything to go by, it’s been worth it. The first whisky sold out online in 15 minutes and the second didn’t take much longer than that, all likely to the chagrin of Loch’s local whisky enthusiasts who can't even get a bottle from the cellar door. 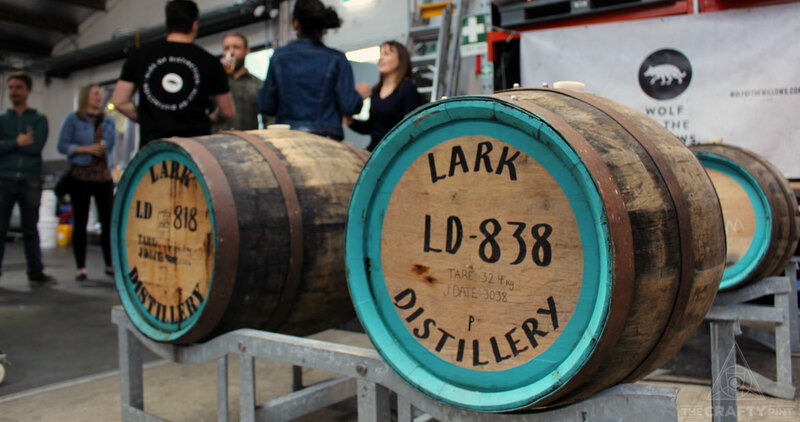 Upon learning about The Barrel Exchange Program, Craig – who learnt to distill at Lark – said: “There will be that beautiful marriage of the beer and the whisky; I reckon it would be awesome and that’s why we’re doing it too. Though he might have to wait two years for that moment, it’s a process for which he’s prepared. “I think patience and stupidity go hand in hands sometimes,"he says. "You have to be slightly mad to go down that journey because it does take so long but we are really seeing the reward for that time and patience. For more on The Barrel Exchange Program event at Fancy Hank's, head here.